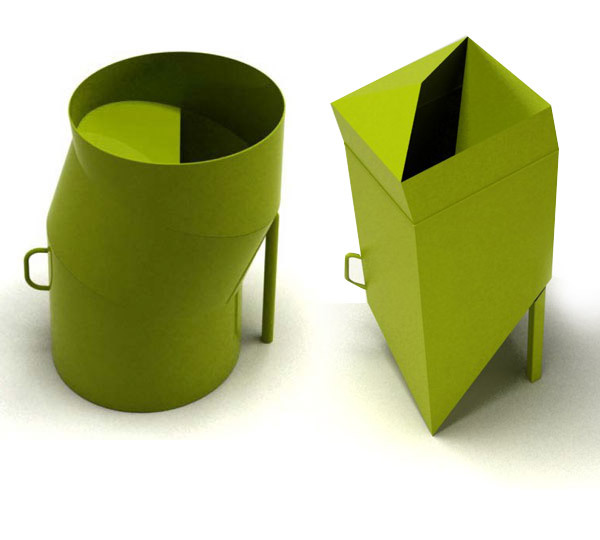 Designing sustainable systems for the usually ignored objects is highly important. Especially when the first ever Green Commonwealth Games are just around the corner. We designed garbage collection units and kiosks for vendors of food and services for a city in the NCR which would be installed by the municipality and used during the Commonwealth Games 2010. The design is easy to use. The top cover protects the garbage from stray animals. 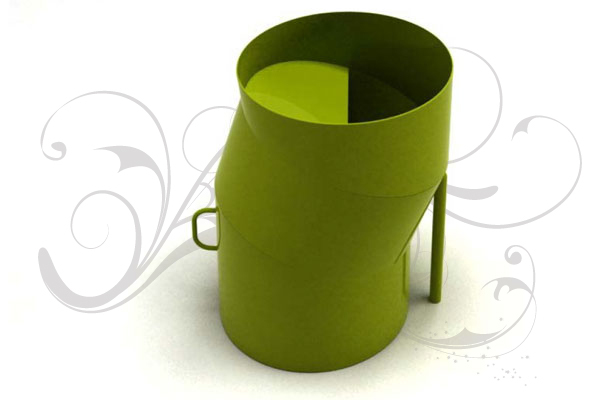 Itâ€™s design also allows the user to throw in garbage without coming in contact with the dustbinâ€™s surface or apply any pressure as the inclination will cause the garbage to slide inside automatically. Around the country, currently the vending carts are basically a flat surface on four wheels. These are modified and adapted to the kind of objects or services being sold using it. There are a number of issues with these carts as they are difficult to navigate, products are difficult to display on just one level, its height is not adjustable, lack of storage space, etc. To answer these problems we developed the following designs. 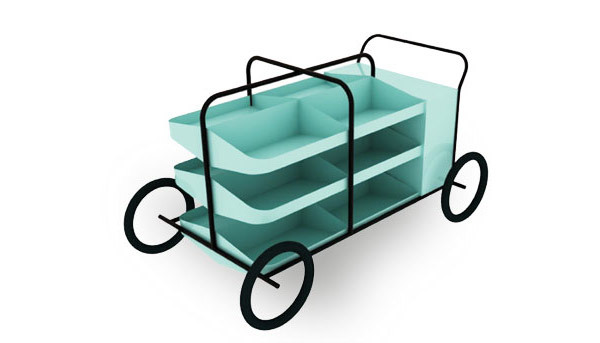 The new vegtable cart provides layered space for more storage and display. The vendor can sectionalise and display vegetables easily. He also gets a cash drawer and storage space for other things at the back of the cart. This new food vending cart incorporates large extendable space for the vendor and its customer. It has a stainless steel cooking area along with a sink for the dishes. Underneath there is storage space for the gas cylinder and other material that the vendor may wish to store. There is also a provision for storage of water for cooking and cleaning. At the end of the day, the flaps act as doors and the cart can be safely trasnported with its inside contents intact. 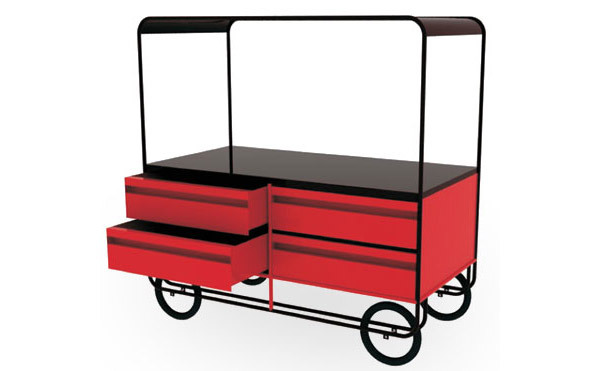 The ironing cart has been designed to provide a large flat surface for use which is also shaded. It has drawers which are easy to access to store or take our clothes. They also allow the user to sectionalise them easily. To design a sustainable system supported by products or service to enable the cityscape to look organised, neat and presentable with context to garbage and street hawkers. It is difficult to teach people to change habits and do things in a new manner. However, a product and it's semantic can bring this change in a very subtle and non-intrusive manner.